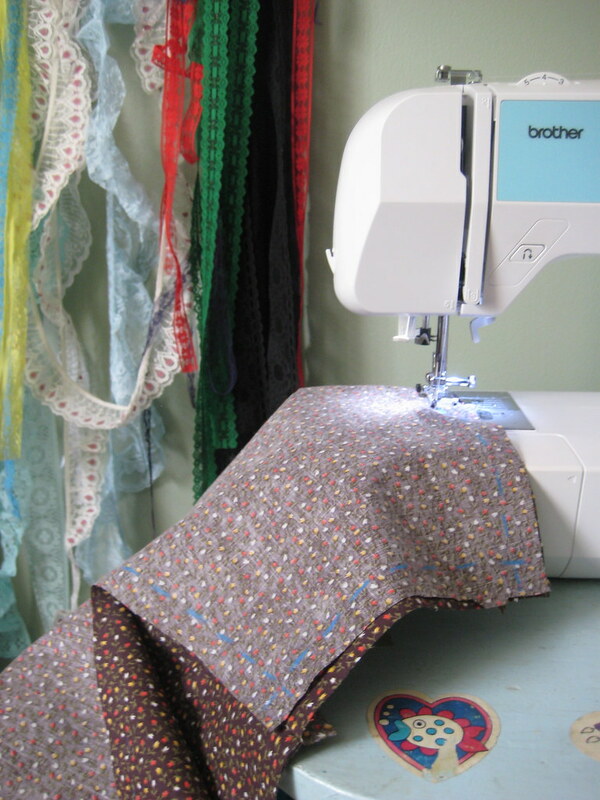 Sewing Saturday no. 6! Today, I did stuff. 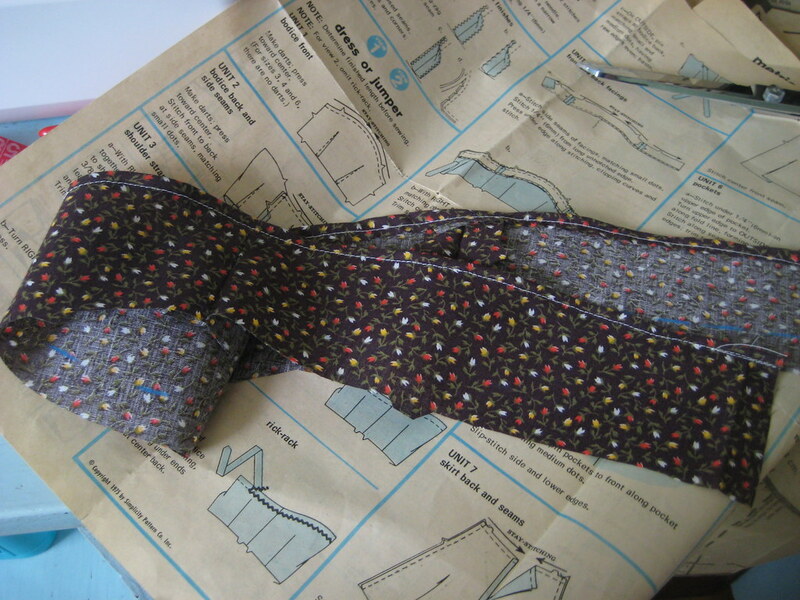 I sewed the facing together, then finished off one of its edges. 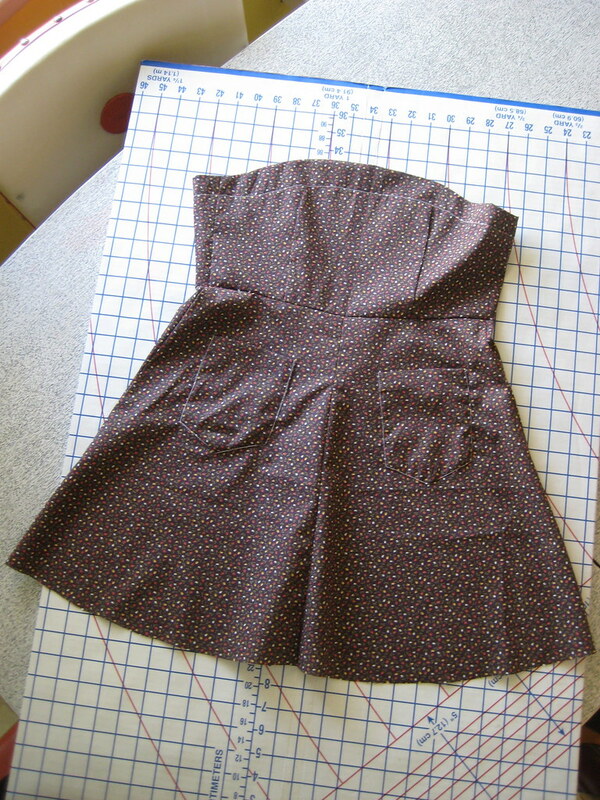 I sewed the facing to the inside of the bodice, trimmed and pressed it, then top stitched the bodice. 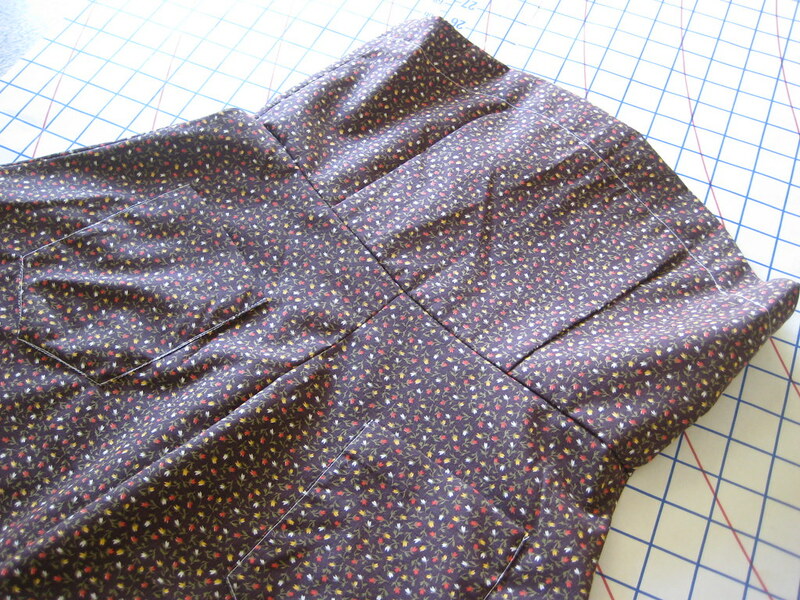 I sewed the two back pieces of the skirt together, stopping at a designated mark (leaving room for the zipper). 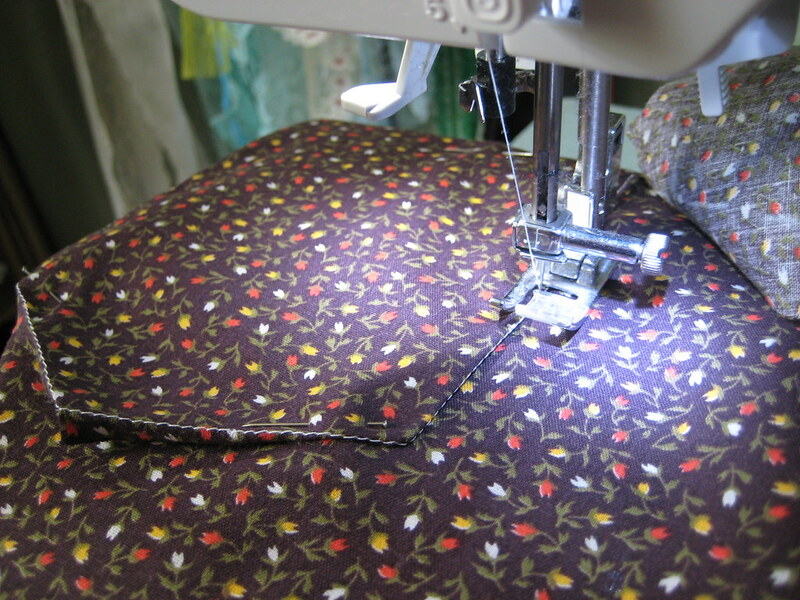 I pinned the pockets to their rightful places on the front of the skirt, then sewed them in place (I made the mistake of using white thread.. which makes me wonder if I now need to use ric rac to cover it up). 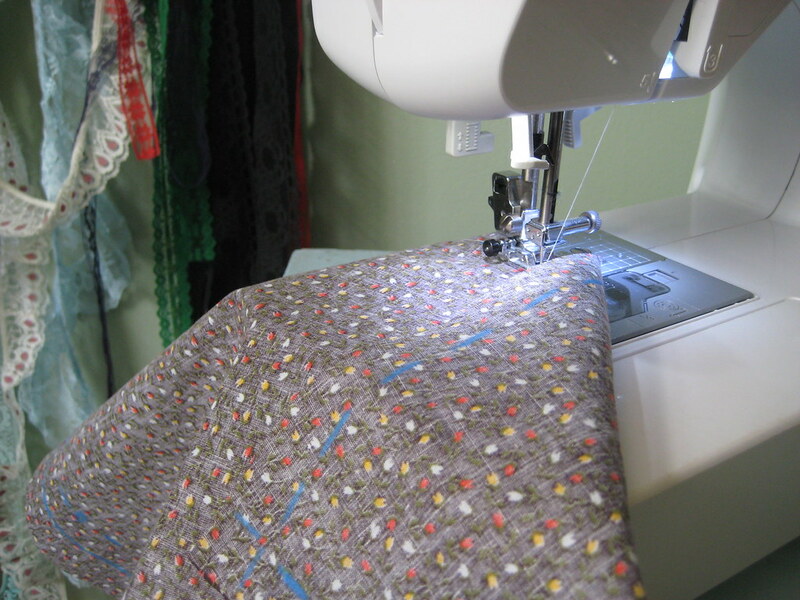 I sewed the front of the skirt to the back of the skirt. 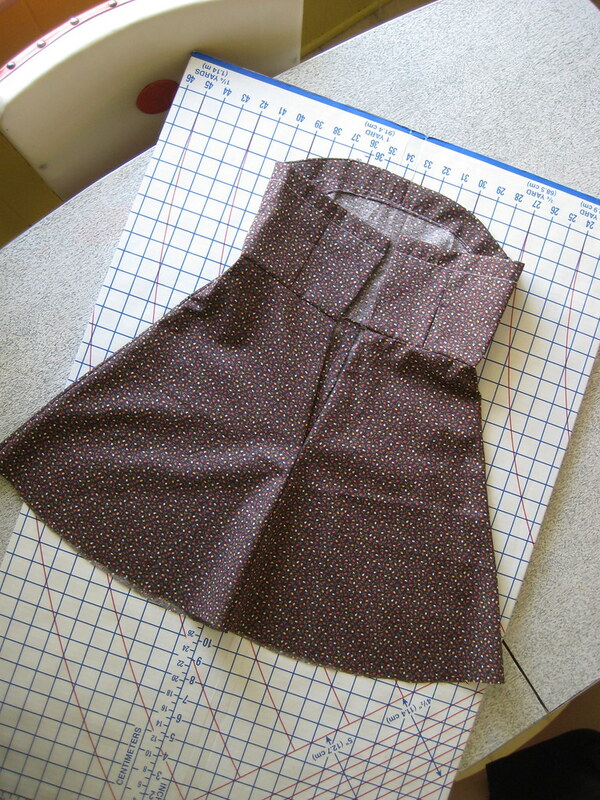 I then sewed the bodice to the skirt at the waist, clipping the seam and pressing it upwards. 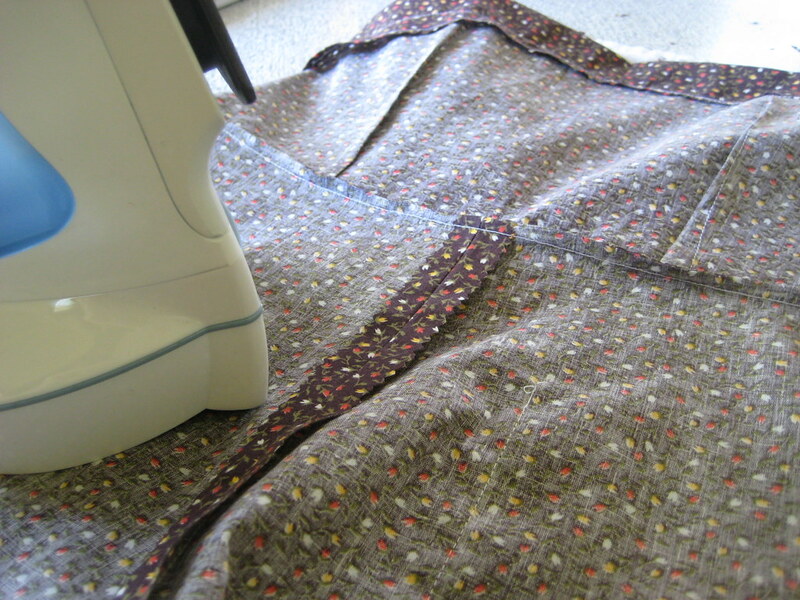 I also finished off a few inside seams with my new pinking shears. And here's the end result! 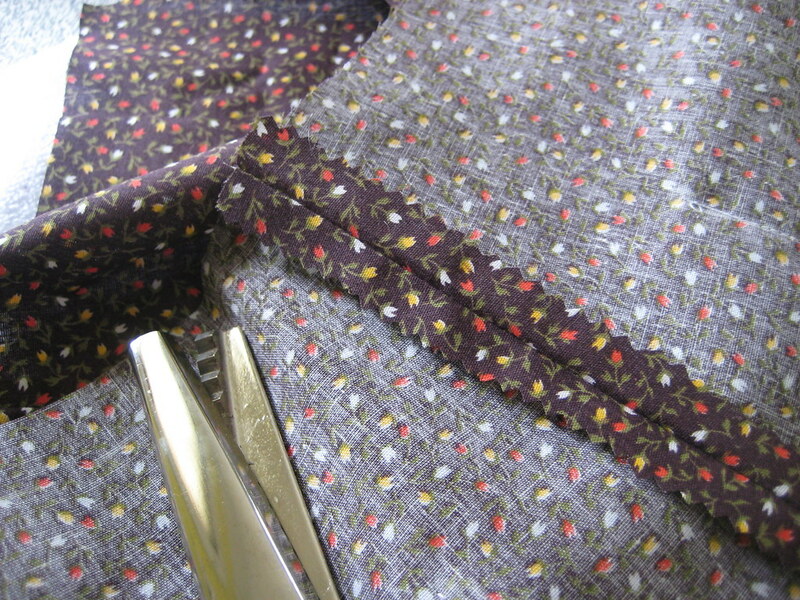 The final touches to the jumper will happen next week - which include adding buttons, button holes, and a zipper. 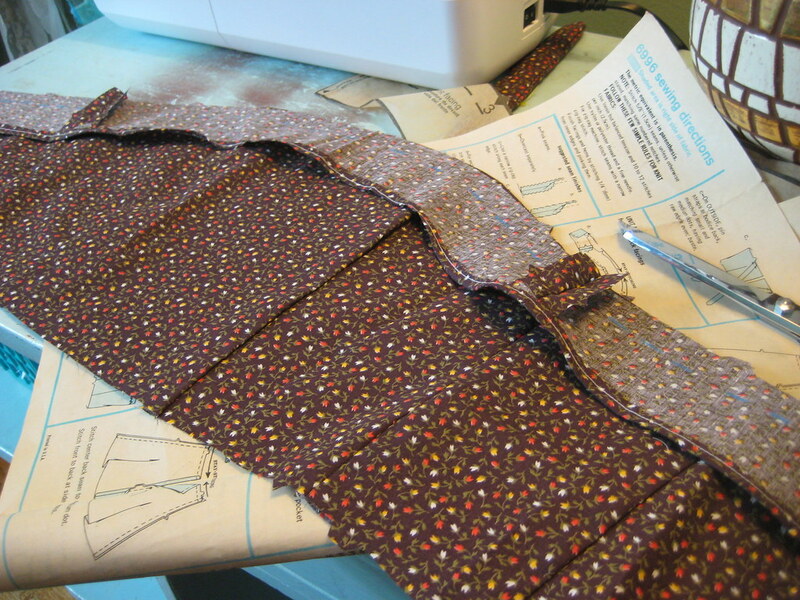 I also have to sew the straps on and finish the skirt hem.. I still haven't decided whether I want to add a ruffle at the bottom or not, and if I do, that's another step for next week. 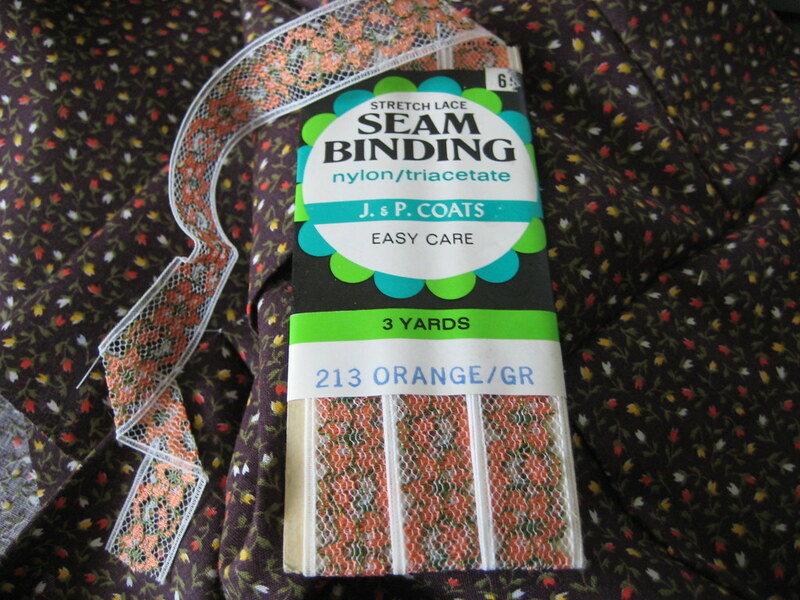 Also.. how important is it to add seam binding to seams that are inclined to stretch, such as the waist seam? If it's vital, I'll do it. 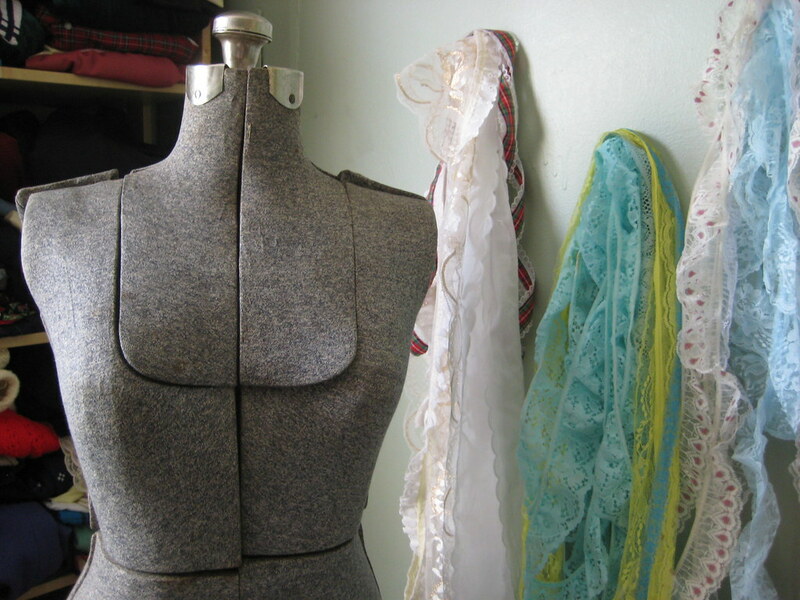 Meet the new addition to our family.. an old adjustable dress form I found on Craigslist! 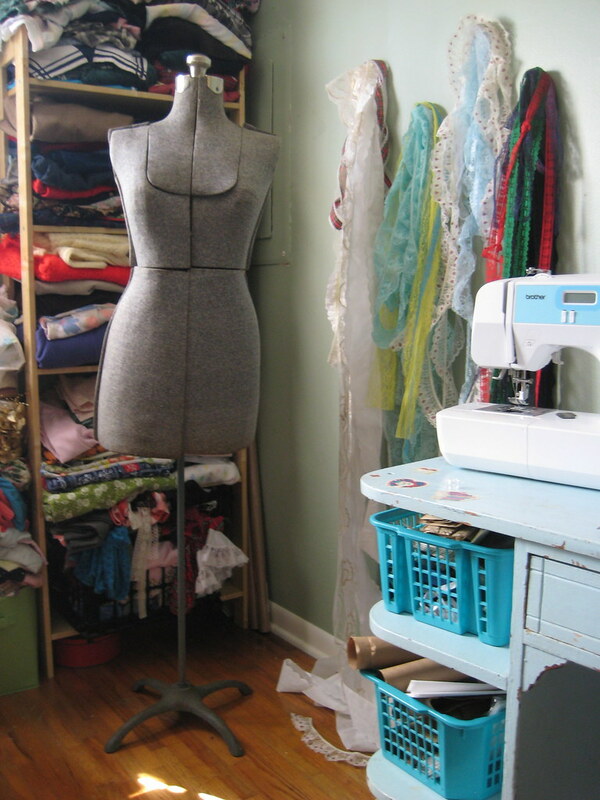 While I'm unsure of whether or not I'll use her to take shop photos with (I've had sound advice against it), she'll definitely help me out with sewing. What should her name be? Something old fashioned and kind of weird? Thanks for your Easter dress suggestions! It seems that Neil won out.. while a couple of you voted for the white dress, the majority of you who commented said I should wear the pastel dress. And that's what I'm wearing tomorrow, with white floral tights and my cutout fawn colored heels! Expect an Easter post very soon. So here we are, close to midnight at my parent's house, and we're eating banana creme pie. There's a brioche loaf on the counter and blueberry cheesecake in the fridge. I can already tell this is going to be a good holiday.